Fill in the visa application form before you arrive and go straight to the head of the line. Carry US dollar cash for the visa you want. 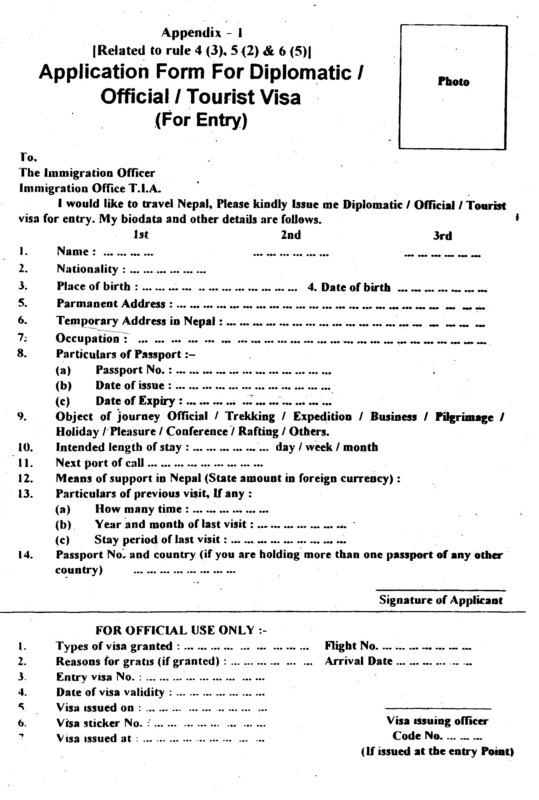 Important: This application is for use when you arrive at Tribhuvan Airport in Kathmandu. 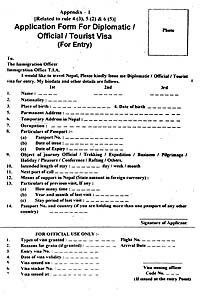 It is not the correct form to submit if you are applying to a Nepal embassy or consulate abroad. For that form, follow this link.